Santa America has created a unique Autism sensitive opportunity for families that have a child with a spectrum disorder. Santa visit environments are calming, quiet and pre-scheduled with little or no waiting. We provide training for Santas, assisting them in dealing with the unique challenges and opportunities that may present themselves, for children with an Autism spectrum disorder. 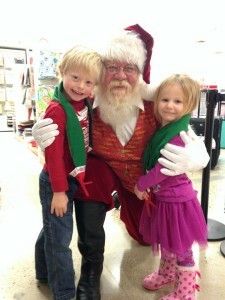 The yearly visit and photo session with Santa Claus is an American family tradition! There are many families who have a collection of pictures that show their children with Santa from year to year capturing the joyful memories of holiday seasons past. Yet, some families are unable to share in this wonderful experience because of the excitement, happy noises and the long lines that accompany most Santa photo sets. Santa Rouse of Santa America fulfilling the Santa America mission of bringing Love, Hope and Joy! When a child must deal with the challenges that may accompany Autism, then these kinds of waits and noise can simply be too much. Sometimes, the challenges of autistic symptoms exclude a child and their family from events that others take for granted. 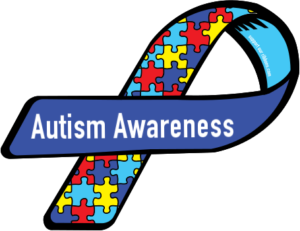 Santa America has a unique Autism sensitive opportunity for families that have a child with a spectrum disorder. For groups that have a Santa who already provides this service, Santa America welcomes your existing Santa to join our interactive pre-season training. Santa America training is built, in part, on the “Best Visit Practices” of our entire national team. Your Santa can be a valuable addition to our training programs! Santa America is Autism aware. 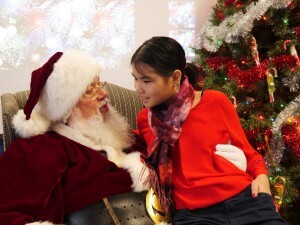 Our Santas are trained to meet the special needs of children with an Autism Spectrum disorder. 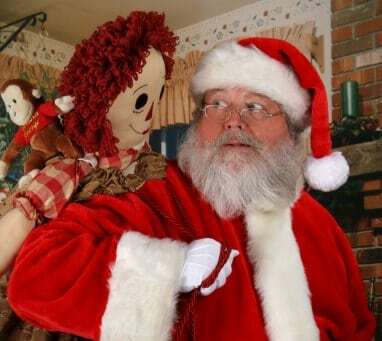 These downloadable links are informative resources for Santa to help children and families prepare for a visit from a situationally aware Santa.